I’ve always been a Renault person and my daily driver is a Megane RS 265 Trophy+. My first Renault was a 16 TS, then I went thirds in a Renault 10 rally car and that’s how I got into motorsport. I’ve also owned an 8 Gordini. 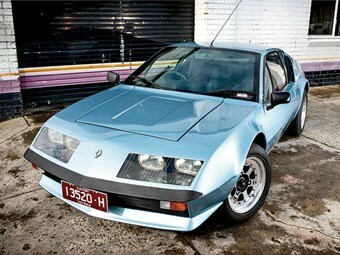 Prior to the A310, I owned an A110, which was the car Renault used to win the World Rally Championship in 1971 and ’73. 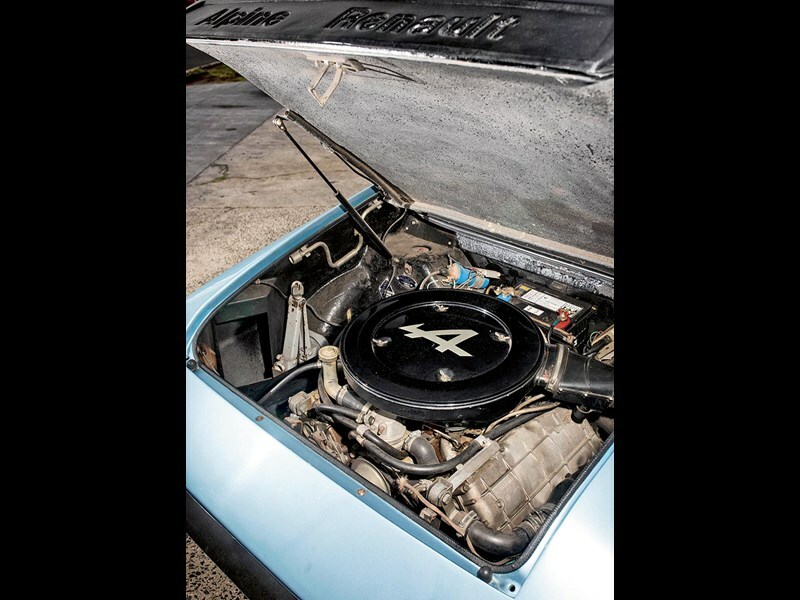 The A110 was an ex-factory rally car that had done a couple of East Africa Safaris and was owned by a guy who lived in Kenya and brought it to Australia with the intention of restoring it for circuit racing. When he decided to go back to Kenya, he left the car with me to look after. I had it for two years, gratis, and gradually restored it. 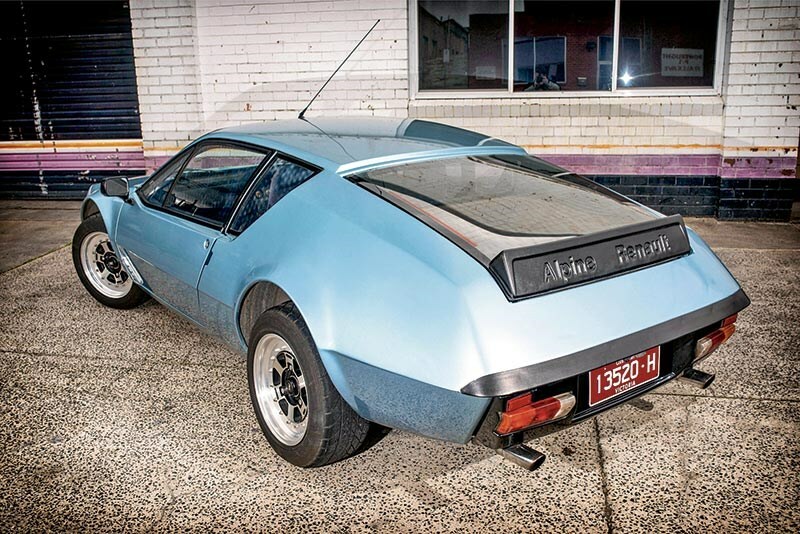 I eventually bought it and raced it for five years in the Marque Sports Car category and in Targa Tasmania, where we won our class. 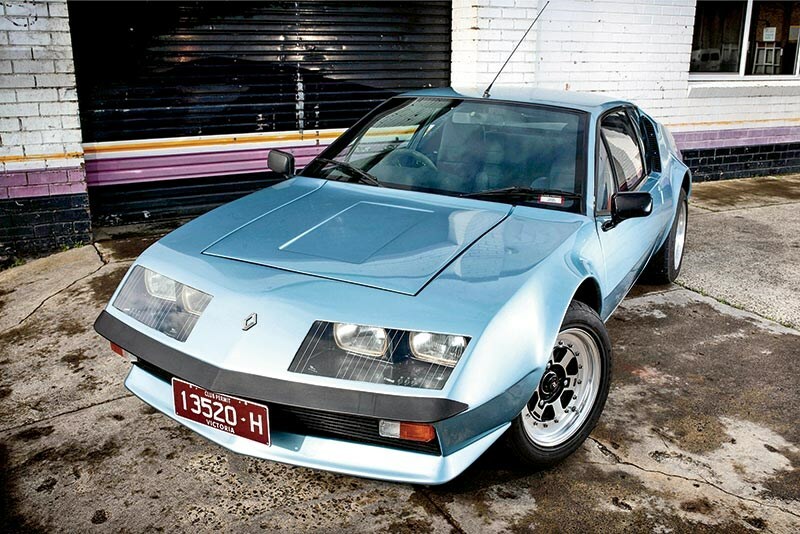 My A310 was one of three brought into the country and converted to RHD by Alpine Affaire. I think there are only five to six V6 A310s in Australia (there was a four-cylinder version as well). This one was crashed at Calder Park and I bought the wreck in about 1996. It sat in my garage for five years before I had the money to repair it. The chassis and mechanicals were okay, but the right-rear suspension was broken and we had to make new wishbones, so we made adjustable ones. The two right-side wheels were also broken so I upgraded from 13-inch to 15-inch PLS alloys. It has power-assisted four-wheel disc brakes. The body is fibreglass and there is not a ripple in it, which is pretty good for a car of its age. 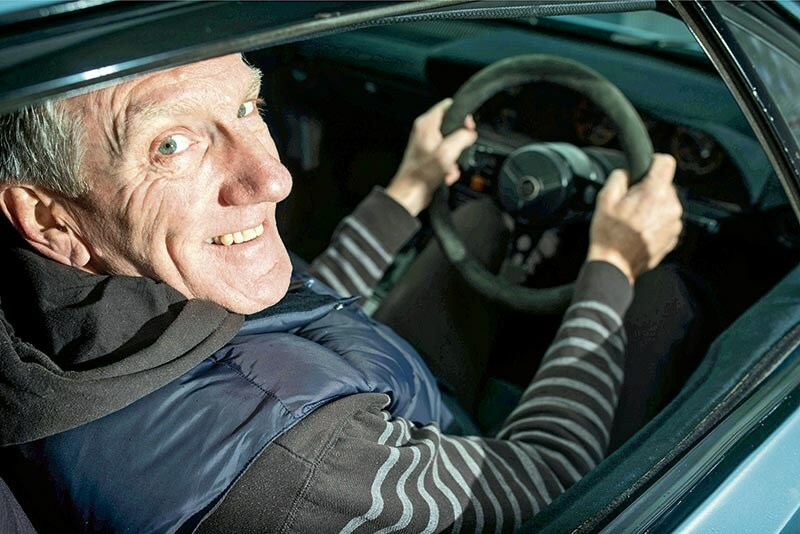 It is a rear-engined car, with a 90-degree 2850cc PRV (Peugeot Renault Volvo) V6 bored out from 2.7 litres, and a five-speed Renault transaxle. The 310 was reportedly going to have a V8, but that plan was shelved due to the fuel crisis, hence the 90-degree V6, which is an unusual vee angle for a V6. The 2.7 only made about 150 horsepower, so it probably has a little more power and torque now and performance feels on par with an original WRX. It has a strange induction set-up, which is also probably due to the fuel crisis, with two Solex carbies: a single-barrel for cruising and a double-barrel that kicks in when you put your foot into it. The exhaust is not stock – I had it made, but it’s modelled on the original one and it makes a great sound on overrun; it sounds awesome in the cabin. The gearing is very tall, which was unusual for its time; they were built to sit on 130mph on autobahns. It stops and handles amazingly well and has a lot of grip. Road tests of the day said it outhandled the Porsche 911. I have no intention of selling. I don’t know what I could get that is as rare and would give me the same bang for buck. Unique Cars Magazine #426 | Annual Japan Special OUT NOW!